If you're looking for a tankless water heater, it can be difficult to know which way to turn. What brand is the best? What price is the fairest? Most importantly, what heating unit will keep you supplied with endless hot water even when blizzards are raging outside? 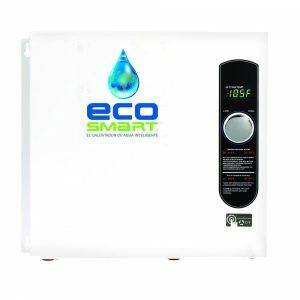 Allow me to introduce the Ecosmart ECO 36. 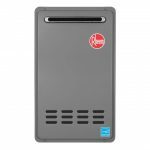 As a long-lasting, self-modulating unit, I consider it to be one of the greatest tankless water heaters on the market today. Not only is it a brand you can trust, but it's a model that outdoes other products from the same line, too. But you don't have to take my word for it. Consider this your in-depth guide to the ECO 36. 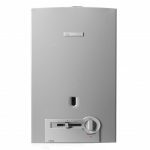 There are several numbers you'll want to keep in mind when shopping for a tankless water heater, so let's dive right into them. Flow rate: The ECO 36 offers between 3-8 gallons per minute (gpm) depending on external water temperatures. I'll explain more about this later. Power: If installed correctly, you'll enjoy 36 kw of power. That's 36,000 watts in total. Size: This unit is 17" x 19" and weighs 17 pounds. While it isn't the lightest on the market, it's far from the heaviest, and it can be installed just about anywhere on your property without excessive space requirements. 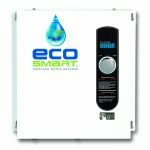 As a "whole house" tankless water heater, the ECO 36 is designed to service multiple kitchens and bathrooms without breaking a sweat. This translates into simultaneous usage of showers and dishwashers without needing to install heating units at every spout. You'll also enjoy immense control over your hot water with the ECO 36. You can make it as blazing as 150°F, and that's an exact number, not a range. This isn't a unit where you choose "warm" or "hot" from a dial or lever. You control the exact temperature of your water down to a single degree. If you prefer a more hands-off unit, the ECO 36 delivers in that way, too. It's self-modulating, meaning that it only draws the power you need to heat your water. To put it in simpler terms, it doesn't draw a maximum current and then back off according to your temperature controls like some heating units do. It only draws the power you need, and that means big energy savings on your utility bill. As previously mentioned, the ECO 36 performs differently depending on where you live, so let's take a look at these locations and how their weather conditions affect the unit. For northern states: If your incoming water temperature is 40°F or less, you can expect your flow rate to be around 3-4 gpm. This means you'll be able to run one or two taps at the same time, but anything more than that starts to get tricky. For southern states: If you live somewhere with more moderate winter temperatures, you'll enjoy anywhere from 6-8 gpm. This is enough to cover sinks, showers and dishwashers all requiring simultaneous hot water. There's no clear divide between these territories, so if you live somewhere in the middle, your results will probably be in the middle as well. Keep this in mind when you use the ECO 36. The unit needs 150A in total to be fully operational. For most homes, this translates into eight wires, including four ground wires, and four double-pole circuit breakers. You canrun it with a single line, but you'll only get 9 kw of heating power instead of 36 kw. All pluses have minuses. All benefits have drawbacks. Here's a balanced look at what you can expect from the ECO 36. If I had to rank the ECO 36 out of five stars, I'd give it a solid five. Though your experience with it may differ from your neighbors in the north or south, it's a good all-around unit for homeowners of any state, and it'll deliver the hot water it promises. If you don't believe me, look and see how many other people are praising it on Amazon, too. 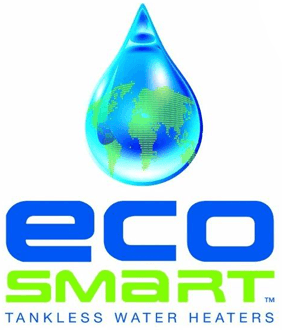 Have ECO 26 been installed anywhere in Africa, in particular Nairobi Kenya. From given information, it is 36KW is no small power for domestic houses. Is this the power rating. In kenya, Voltage is either 240V single phase or 415V three phase.